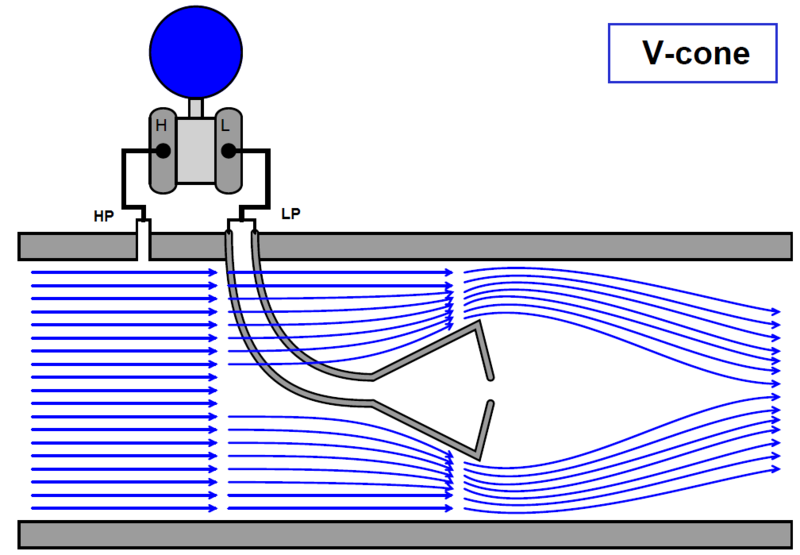 Other pressure-based flow elements exist as alternatives to the orifice plate. 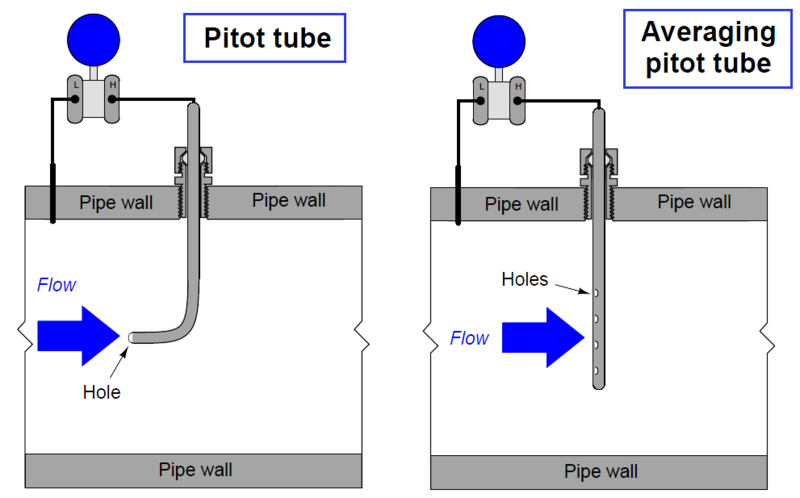 The Pitot tube, for example, senses pressure as the fluid stagnates (comes to a complete stop) against the open end of a forward-facing tube. 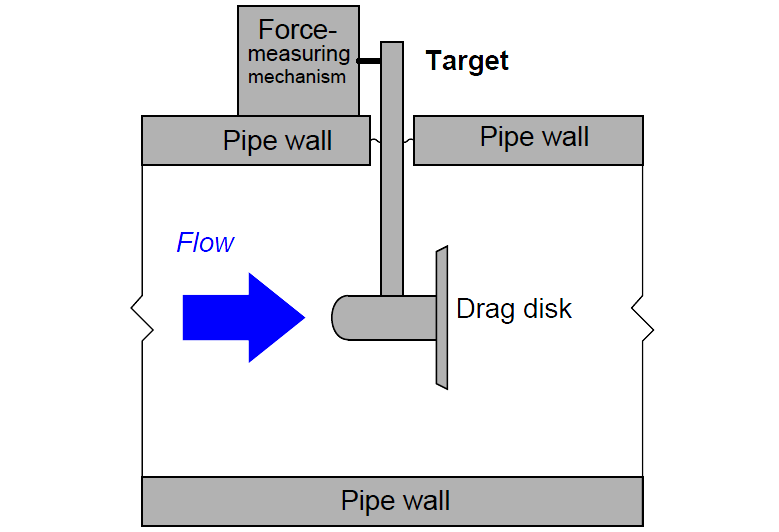 less sophisticated realization of the stagnation principle is the target flow sensor, consisting of a blunt “paddle” (or “drag disk”) inserted into the flowstream. The classic venturi tube pioneered by Clemens Herschel in 1887 has been adapted in a variety of forms broadly classified as flow tubes. 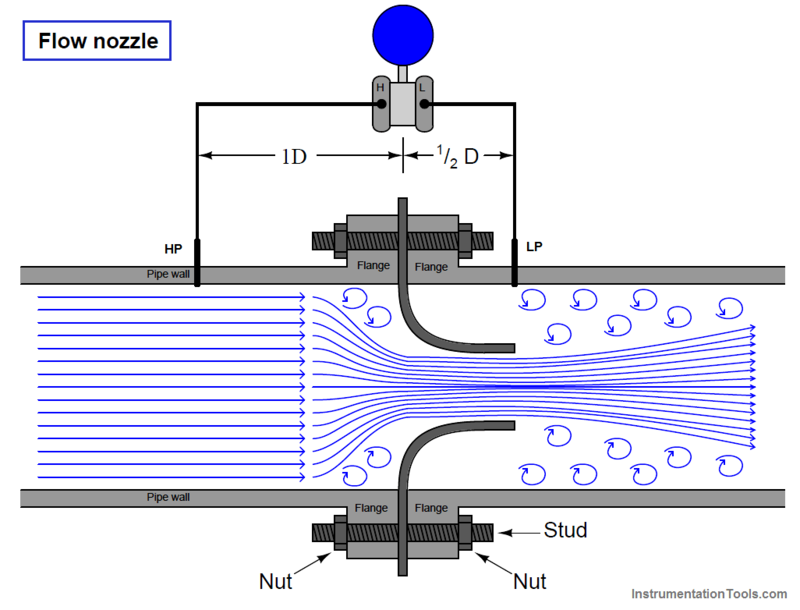 All flow tubes work on the same principle: developing a differential pressure by channeling fluid flow from a wide tube to a narrow tube. The differ from the classic venturi only in construction details, the most significant detail being a significantly shorter length than the classic venturi tube. Examples of flow tube designs include the Dall tube, Lo-Loss flow tube, Gentile or Bethlehem flow tube, and the B.I.F. Universal Venturi. This cone is hollow, with a pressure-sensing port on the downstream side allowing for easy detection of fluid pressure near the vena contracta. 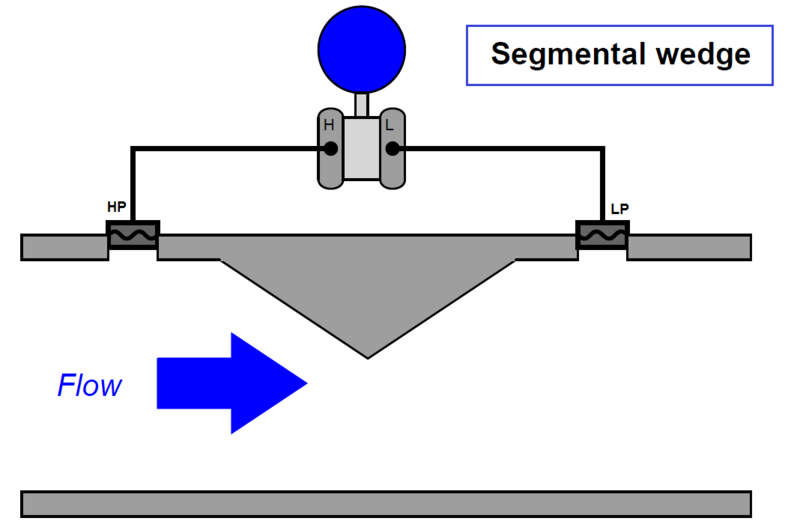 Segmental wedge elements are special pipe sections with wedge-shaped restrictions built in. 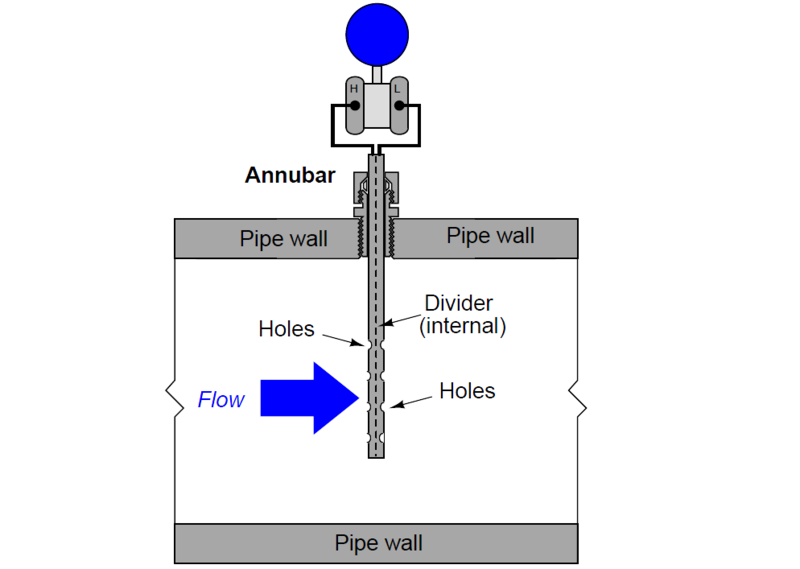 Pipe elbows should be considered for flow measurement only as a last resort. Their inaccuracies tend to be extreme, owing to the non-precise construction of most pipe elbows and the relatively weak differential pressures generated. 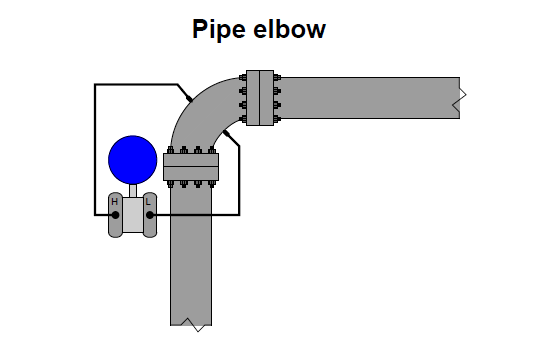 The fact that a pipe elbow generates small differential pressure is an accuracy concern because other sources of pressure become larger by comparison. Noise generated by fluid turbulence in the elbow, for example, becomes a significant portion of the pressure sensed by the transmitter when the differential pressure is so low (i.e. the signal-to- noise ratio becomes smaller). Errors caused by differences in elbow tap elevation and different impulse line fill fluids, for example, become more significant as well. A final point should be mentioned on the subject of differential pressure producing flow elements, and that is their energy dissipation. 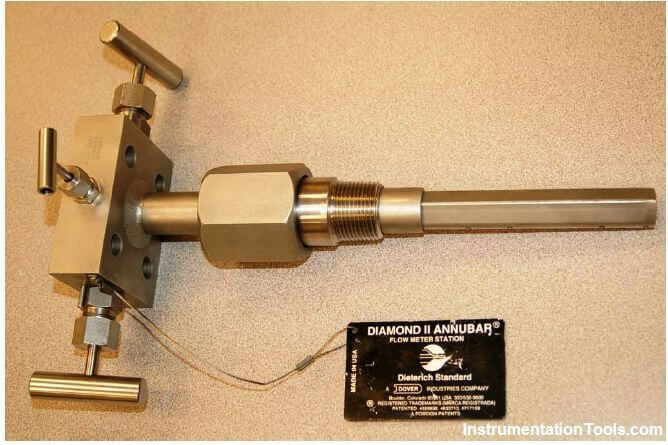 Orifice plates are simple and relatively inexpensive to install, but their permanent pressure loss is high compared with other primary elements such as venturi tubes. Permanent pressure loss is permanent energy loss from the flowstream, which usually represents a loss in energy invested into the process by pumps, compressors, and/or blowers. Fluid energy dissipated by an orifice plate thus (usually) translates into a requirement of greater energy input to that process. With the financial and ecological costs of energy being non-trivial in our modern world, it is important to consider energy loss as a significant factor in choosing the appropriate primary element for a pressure-based flowmeter. 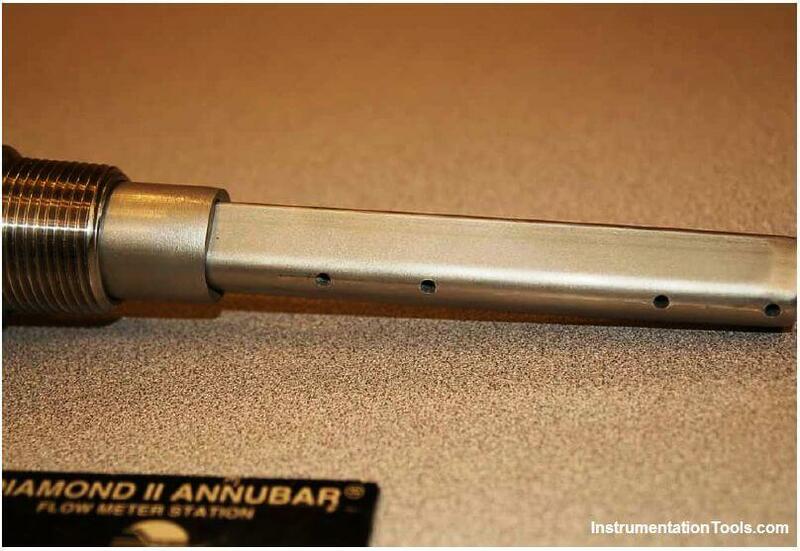 It might very well be that an “expensive” venturi tube saves more money in the long term than a “cheap” orifice plate, while delivering greater measurement accuracy as an added benefit. 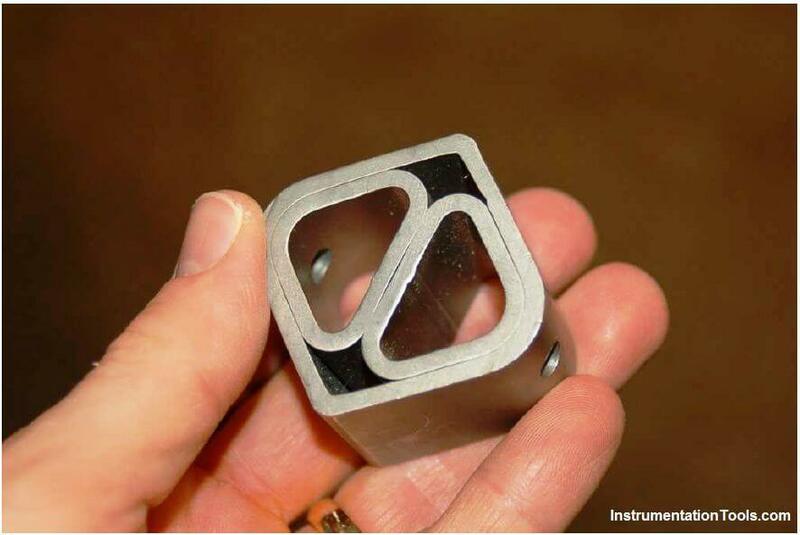 What is a Disc Valve ? Can any one tell me that in my company we are using a DPT for flow measurements and is output is given to PLC which is 4-20mah but how the PLC shows the mmH20 value in flow kg/Hr. If u have a sample program let me know or formula to conversion.